Everyone has a “reading history”. For some students, reading has had mostly positive associations, with supports from which to build an even stronger identity as a reader. For others, being able to reshape a negative reader identity often depends on reflecting on personal moments or experiences that created reading barriers. When students reflect on and share their personal reading histories, they have an opportunity to view themselves and their classmates (and you) more generously, as “readers in progress,” with reader identities they can understand and CHANGE! - Create your own personal reading history in front of the students. I use a document camera to do this on a piece of paper. I simply make a timeline of my life. I begin with my early reading history, sharing memories of my mom reading aloud to me some of my favorite picture books (insert your favorites here!). I share my experiences in learning to read through elementary school. Though I do try to be authentic, my own personal reading history is exceedingly positive (this is why I became an English teacher, of course). So, I will invent some challenges that I needed to overcome with learning to read in early elementary school. I will then share my history through middle/high school, and yes, I will highlight my positive experiences here as well. o What reading experiences stand out for you- high points and low points? o Were there times when your reading experience or the materials you were reading made you feel like an insider? Like an outsider? o What supported your literacy development? What discouraged it? o Provide students with these same reading prompts and ask them to use the prompts to create their own personal reading histories. o Have partners share their histories. Explain that the listening partner must not interrupt, but that after both partners have shared, their job is to discuss what they learned about each other. What were some similarities in the barriers and supports they experienced? What were some differences of surprises? o Bring the class together and invite volunteers to share what they learned were similarities and differences in reading experiences and what made them feel like insiders or outsiders. Click here to grab this text! This informal introduction to the “think aloud” process puts the teacher in the public role of a reader who must try to unlock the door to a difficult text—with a limited set of keys, like our students often are. - I bring in a copy of a text that is particularly challenging to me, I have used a Shakespeare poem, or, in one particular case when I forgot the text at home, a science textbook from a neighboring high school teacher. You can choose any text that is (or at lease appears) to be challenging for you! - I put this under the document camera, so students can see the text I am trying to comprehend. You can also make copies of this text for students. They should be able to see the text you are working very hard to understand. o Preview the text. Take a look at its parts and graphics. Out loud- tell yourself what you do or do not know by looking over the text quickly. o If you are able to make any connections to your background knowledge or experience, describe this out loud to yourself. o Start reading the text out loud, and stop when you get confused by a word, phrase, or sentence. o Out loud, identify the problem and ask yourself questions to try to solve it. Out loud, describe the problem-solving process you are going through as well as your reactions to the text. o Agree with yourself that you may need to “tolerate ambiguity”, maybe having only a guess about the meaning of the roadblock you identified. o Continue reading to see whether the roadblock clears itself up, and let yourself know how, out loud, if it does. o Model the process of reading while your mind wonders off. We all know that moment when we get to the end of the page and realize we were actually making our shopping list instead. Show students this process, and show them that they must go back and re-read when this happens. - Ask students what they saw you doing as you worked to understand the texts to facilitate a classroom discussion! Click here to get this activity! 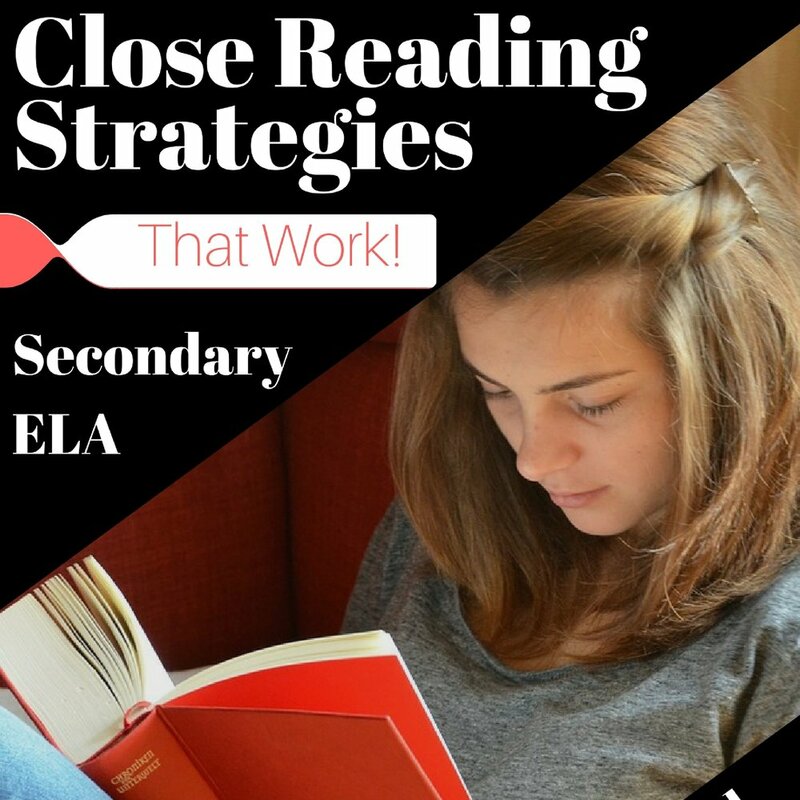 By sharing their reading processes, students begin to appreciate the great variety in strategies and approaches that different readers bring to a text. They will also see that different people’s knowledge and experiences shape the meanings they derive from texts—that meaning is constructed in the interaction between individual readers and texts, not solely in the texts themselves. 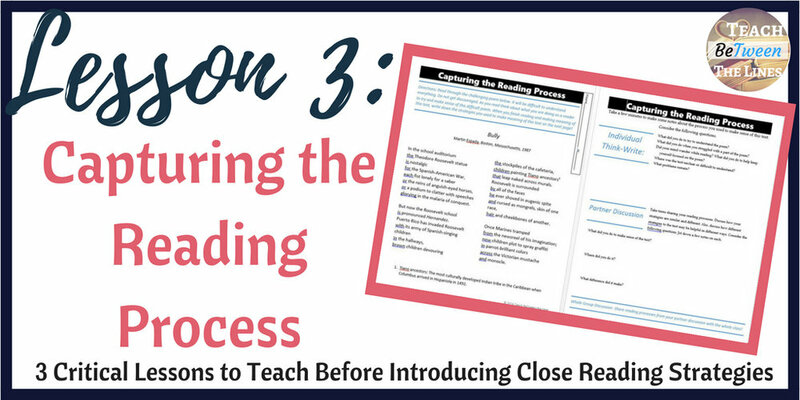 Capturing the reading process is students’ introduction to creating a living and growing classroom reading strategies list. 1. Choose a slightly challenging text that will be intriguing to students (I have provided Shakespeare’s Sonnet 18. 2. Give students time to read silently; monitor to see when most students have finished the reading. 3. Ask students to write down a few notes about what they did to make sense of the text: what reading processes they used to solve comprehension problems, stay involved in the text, or make connections from the text to other knowledge or ideas. a. When I read the second sentence, about reading under the covers, I could picture that in my mind. 5. As partners and small groups are sharing their reading process, circulate to listen in and, as needed, model how to probe for specifics (suggestions follow). b. How did you do that? Where in the text did you do that? c. Can you give us an example from the text? d. Why did you decide to do that? e. How did that help your understanding? a. Did anyone have to reread any part? Which part? How did that help? b. Did anyone think of something else that was related to this text? What was the connection? How did that help? c. Did anyone have trouble with this part? How did you get through it? d. Did anyone make a guess about the meaning of an unfamiliar word? How did you do that? Record students’ ideas/strategies on a class list. Save this list and print for use as an anchor chart. You will add to this chart throughout the summer/school year! Now that students have learned more about themselves as readers they are better prepared to learn the close reading and annotation strategies that will help them grow as readers! These lessons are all part of my Close Reading Strategies Unit. I have two units to accommodate for varying grade levels! Check these out below! Supporting Struggling Writers: 6 Strategies for Turning Struggling Students into Successful & Confident Writers! Use these 6 strategies to build confident and successful writers in your classroom!